65mm Deep Cable Basket is Self-Coupling for quick and convenient installation, saving time and helping to reduce man hour costs. 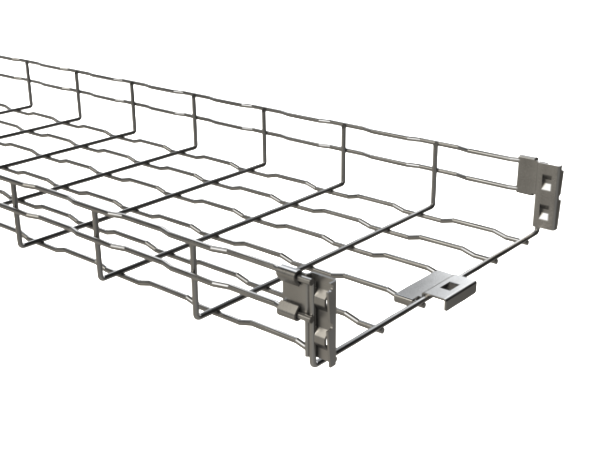 Each straight length includes union joints, so to connect two tray lengths all you need to do is simply position the union joints for a tray length over the end of the next one and push down. The 65mm Deep Cable Basket has an excellent aesthetic finish and includes safety edges to prevent cable damage, plus its patented wavy wire design helps instil resistance to flexure. By using Basket Cutting Pliers the tray can be easily shaped on site to meet your needs. Available in 3M lengths in widths of 60mm, 100mm, 150mm, 200mm, 300mm, 400mm, 500mm and 600mm.